While summer may not officially begin until the end of June, Memorial Day is recognized as the start to the summer vacation season every year. 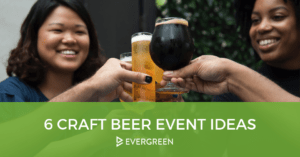 It’s a great time to have a BBQ with friends and family and enjoy some tasty and refreshing beers. 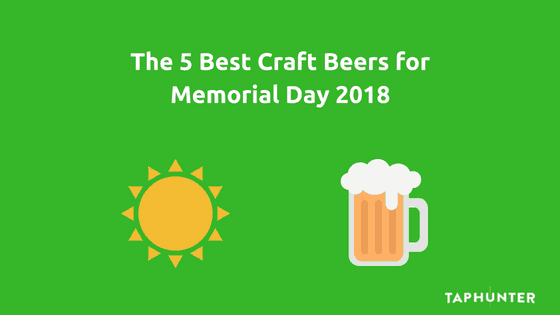 Let’s jump into the 5 best craft beers for Memorial Day 2018. Description: The beer you’ve been waiting for. Keeps your taste satisfied while keeping your senses sharp. An all-day IPA naturally brewed with a complex array of malts, grains and hops. Balanced for optimal aromatics and a clean finish. The perfect reward for an honest day’s work and the ultimate companion to celebrate life’s simple pleasures. 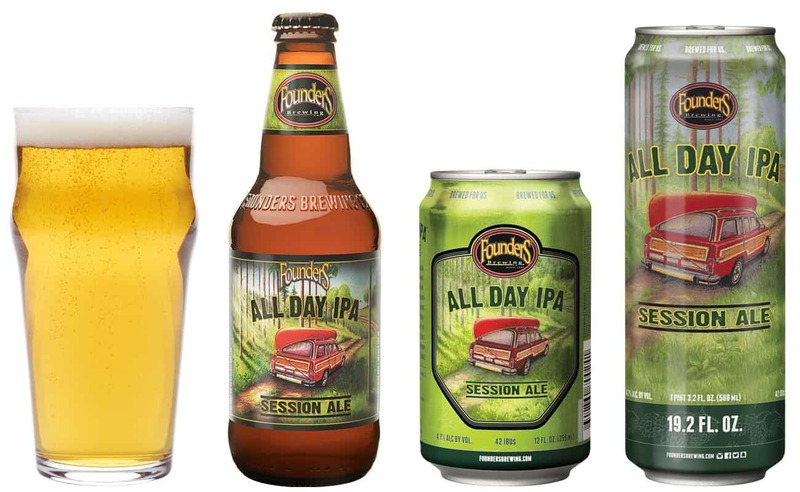 Founders All Day IPA is an extremely drinkable session IPA that is low enough ABV that you can hang out and drink them while grilling or camping without being worried about getting tipsy too fast. Despite having a low alcohol content, All Day IPA is full of glorious hop flavors and aromas, making this a great beer to kick off summer with. Description: BREW FREE! OR DIE IPA is brewed with some serious west coast attitude. This aromatic golden IPA starts with three different hops to the nose, quickly balanced by a solid malt backbone supporting the firm bitterness. Our top selling beer at the pub, this IPA starts big and finishes clean leaving you wanting more. If you’re looking for a west coast IPA that perfectly captures the spirit of freedom this Memorial Day, look no further than Brew Free! Or Die from 21st Amendment. 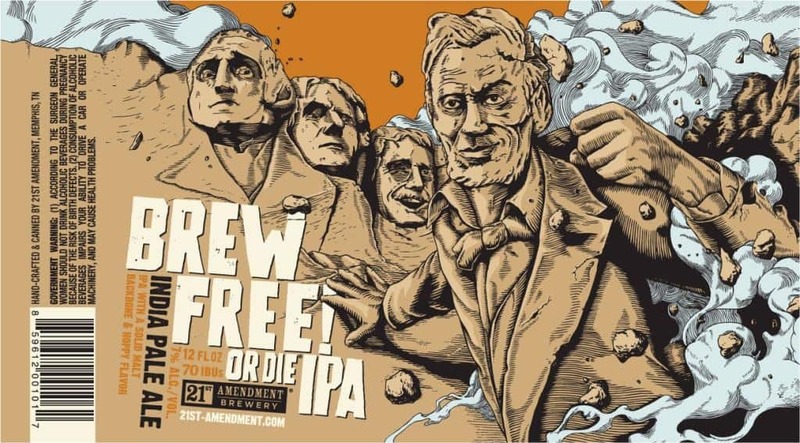 You can celebrate with some iconic American presidents who are featured on the label, and exercise your right to have a great time with this solid hoppy beer. Description: Pooltime Ale is a refreshing Belgian-inspired Wheat Ale with light clove notes. The truly distinguishing feature is the use of 100% Montmorency tart cherries grown in the Traverse City region of Michigan. These cherries add a subtle tartness and bright counterpoint to the other flavors, enhancing Pooltime’s fruity character and making it the perfect beer for all summer activities. 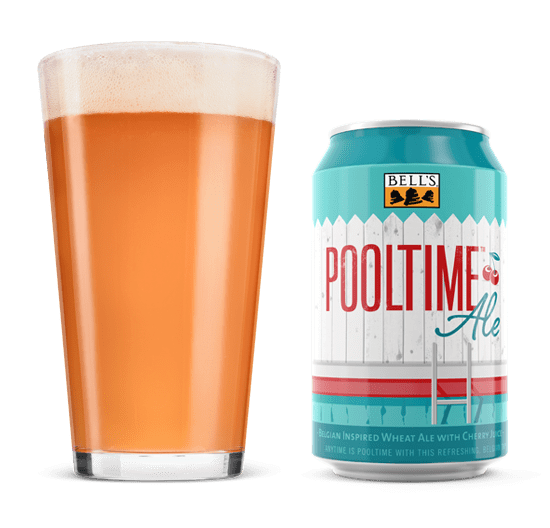 Pooltime Ale from Bell’s is a great wheat ale that features tart cherries grown in Michigan, resulting in a very tasty and refreshing beer that’s perfect for kicking off the summer season. The fruity and tart characteristics balance out nicely and make this a great beer to enjoy if you prefer the belgian wheat style over a hoppy or light beer, or if you generally like hanging out poolside. When in doubt, Stone Go To IPA is a perfect beer for those who love hops but also want to pace themselves on a hot day. 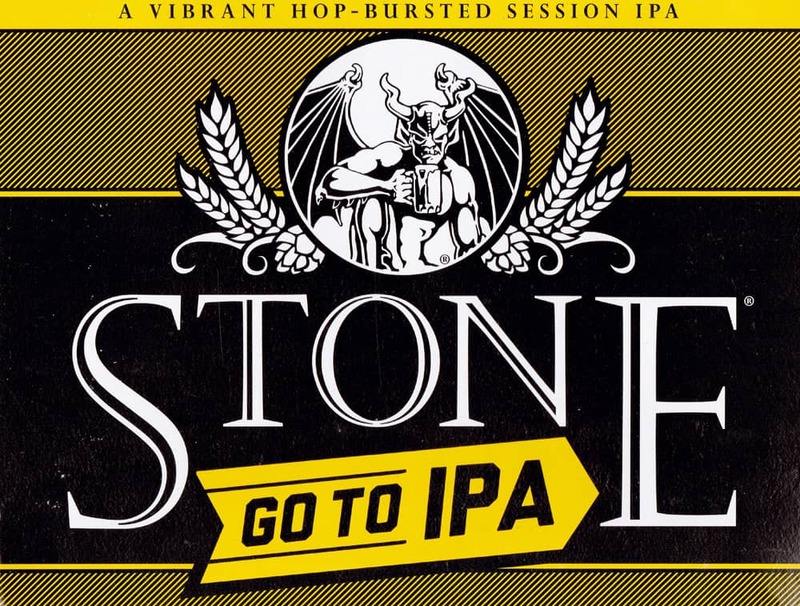 For a beer under five percent, Stone Go To IPA packs an impressive amount of flavor and aroma, holding true to the aggressively hopped and intensely enjoyable flavor profile that Stone is so well known for. Description: A golden pale ale full of American hop flavor and aroma, with a subdued bitterness and a malty sweet finish. 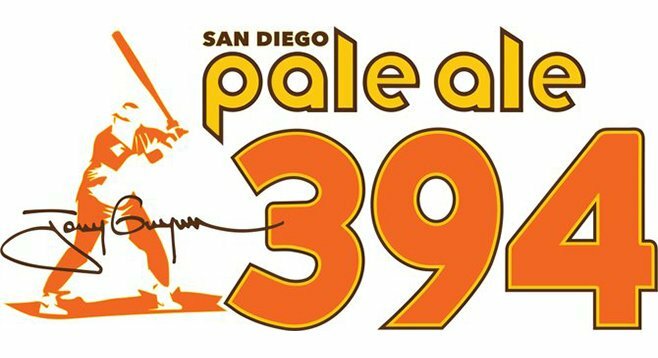 AleSmith Pale Ale .394 pays tribute to the city that Tony Gwynn loved and the career high batting average that he achieved in ’94. This nicely hopped pale ale is brewed in tribute to the San Diego baseball icon Tony Gwynn. If you’re looking for something between an IPA and a session ale, this hoppy pale ale might be a perfect fit. Since baseball is America’s favorite pastime, this is a perfectly appropriate beer for the Memorial Day holiday.